The percussion lock on a V. Funk side by side. 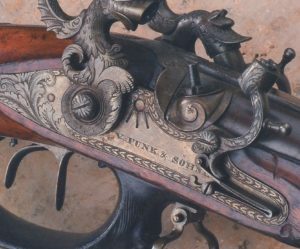 During the Flintlock, Percussion and early breech loading periods the plate with the hammer, tumbler, bridal, sear and springs was referred to as a Lock. 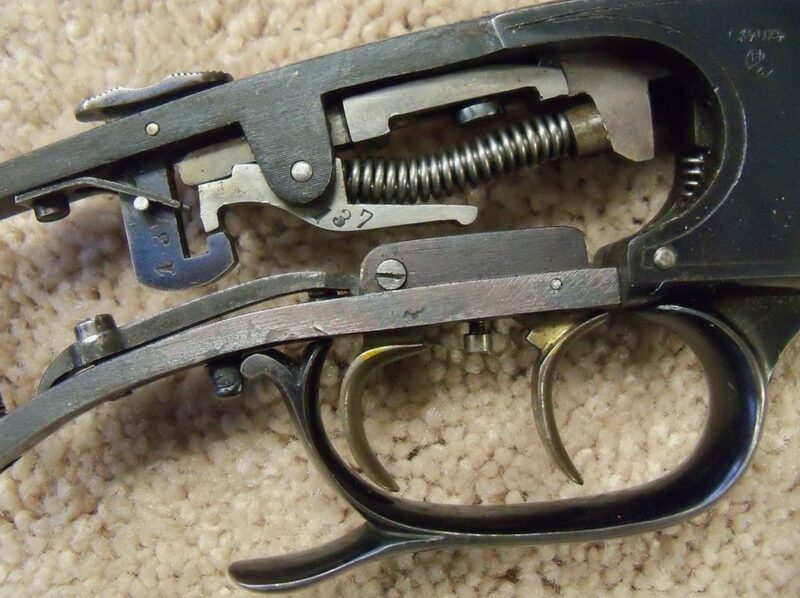 On so called hammerless guns the lock can be a side plate upon which the hammer, sear, bridal and springs are mounted on its inside face or it can refer to the parts (hammer, sear and springs) which are housed inside a receiver as is the case with the Anson & Deeley. Sometimes as in the case of a gun with the Blitz or Floor Plate lock the gun is erroniously referred to as a Blitz Action gun when it should be referred to as a Blitz Lock gun. If you find this confusing you are not alone. 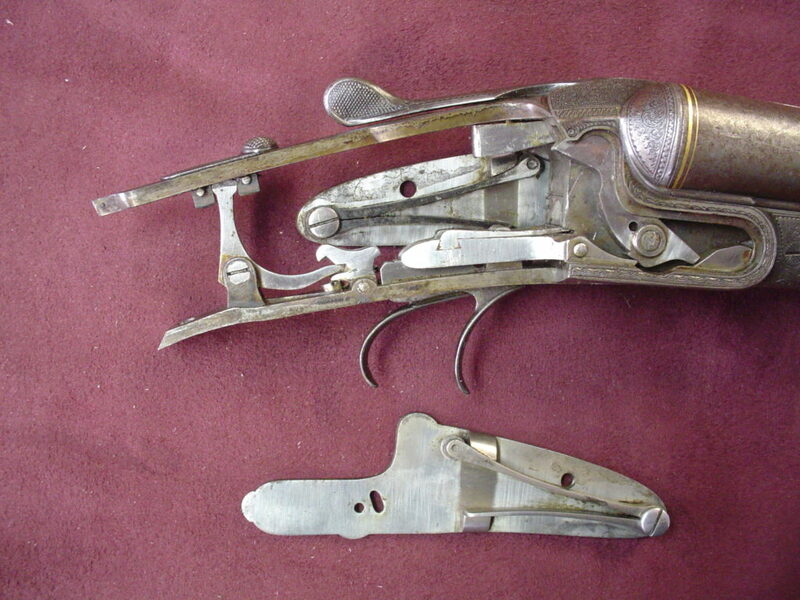 Many pre World War II gunmakers whether large or small developed their own Lock and Action Systems. 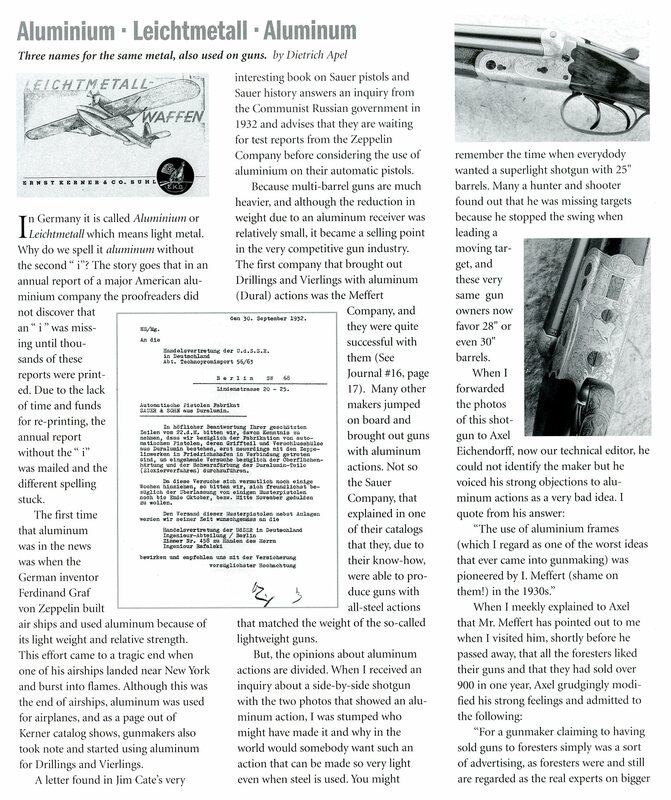 Some such as Collath and Dreyse as part of a totaly new firearm while others like the Nimrod system by Thieme & Schlegelmilch were simply variations of the already established. 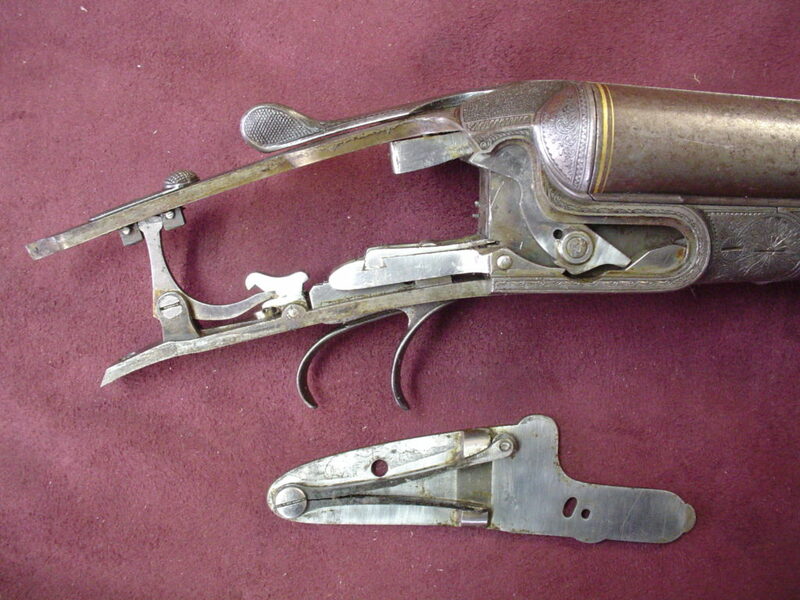 Some modern gun makers are still improving Lock and Action mechanisms. One example is Max Erns Ern Roller Sidelock. 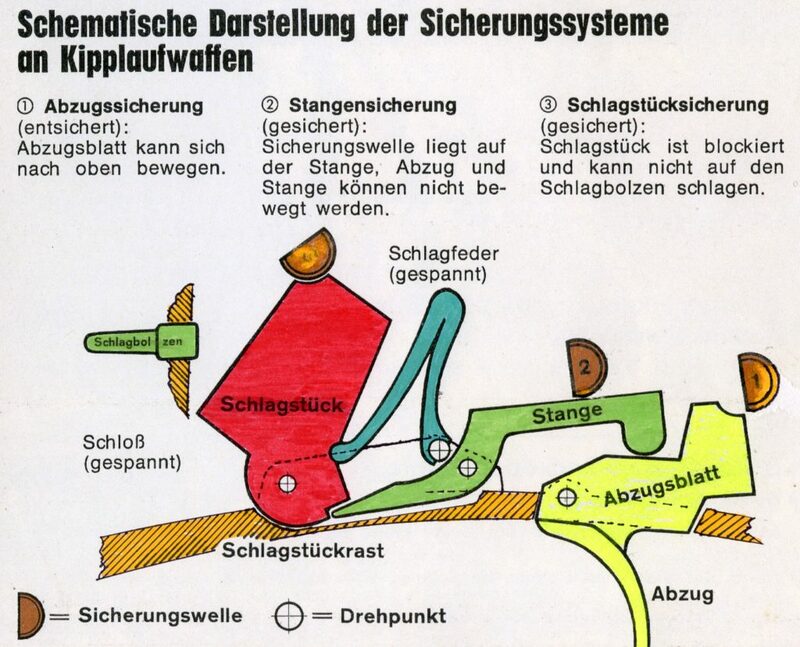 In the german language the word Schloß refers to the Lock and Verschloß refers to the action lock up or fastening design. An action is refered to as a System. 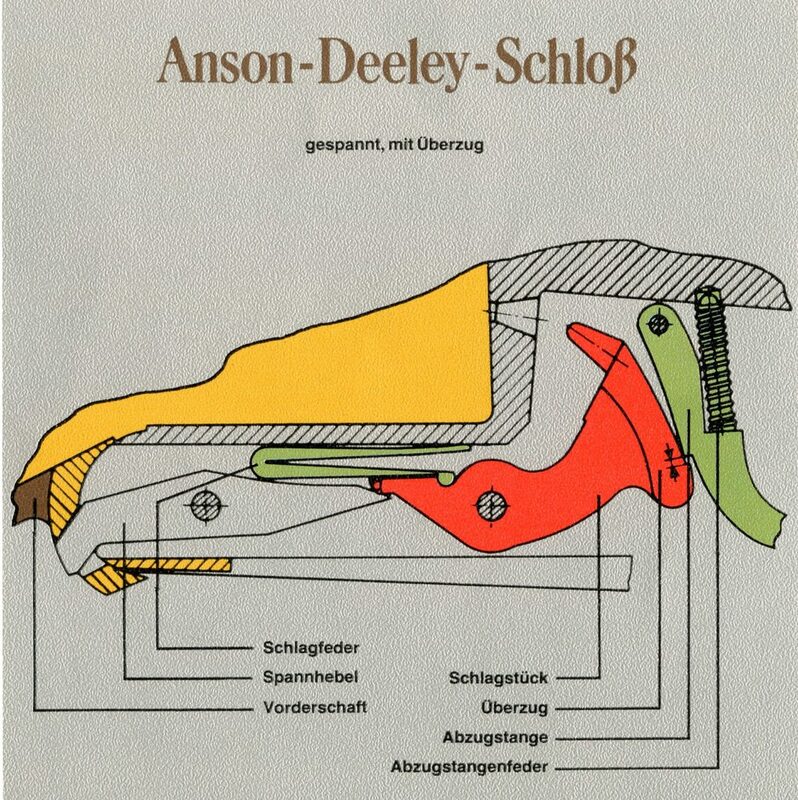 Anson- Deeley- Schloß (Anson & Deeley Lock) also called the Box Lock action. It is very popular for it’s simplicity and ease of manufacture due to the fewer number of parts. 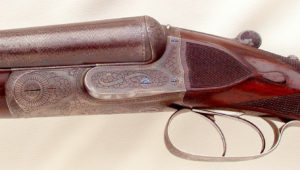 Seitenschloß ( Side Lock) often used on higher end guns and often are easily removed from the receiver in which case they are referred to as Detachable Side Locks. A side lock gun with a greener style safety built into the left hand lock plate. 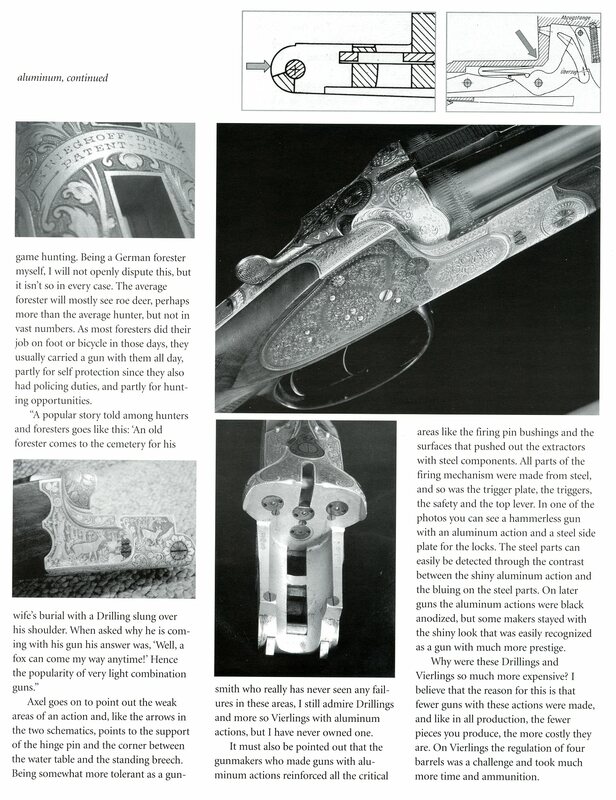 Note- some gun makers use a box lock or Anson & Deeley action with added false side plates to make a gun appear to be a higher grade than it actually is or to give the gun more surface for engraving. 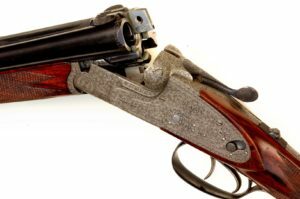 Blitz Action or sometimes referred to as the Trigger Plate action, it is often seen on Drillings (three barrel guns) and Vierlings (four barrel guns). The above illustration shows the three applications of Safeties that can be incorpoated with this action. On May 9, 1892 Friedrich Wilhelm Kessler of Suhl received a patent no. 62231 for a variation of the side lock which had the main spring mounted on the side plate while the Hammer, Sear and other parts were mounted in the Receiver similar to the Anson & deeley lock. 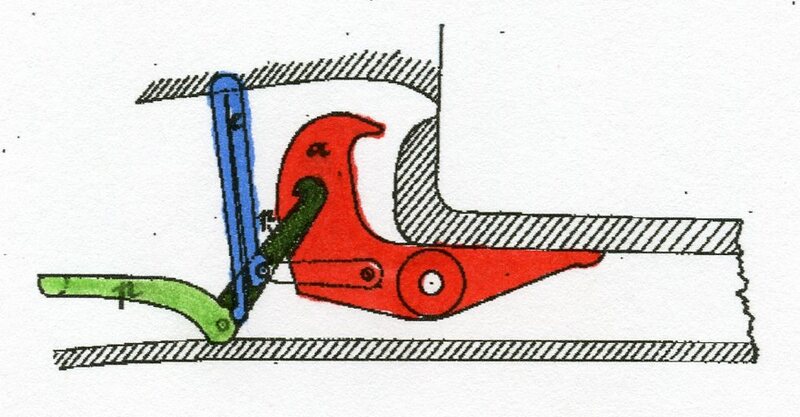 The design of Thieme & Schlegelmilch’s Nimrod lock mechanism as found in thier final patent no. 70868 of 1892. Teschings or small caiber light weight stalking rifles are often found with locks which feature a straight line stiker or firing pin. 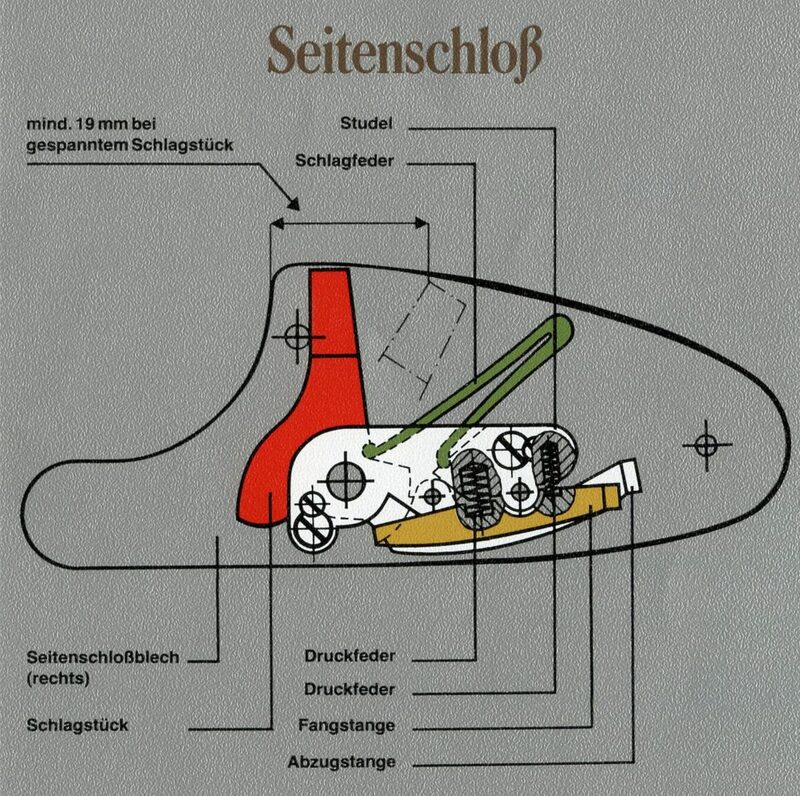 The following picture shows a Tesching made by Fritz Langenhan in Mehlis in 1930. It has a coil main spring, set triggers and a safety that rocks on a pin in the top tang rather than sliding.